Sometimes it’s hard for us to believe that the concept of Eclectic Verve began in the summer and fall of 2010 and that our band has officially been around since 2011. Sometimes it seems a lot longer, sometimes it doesn’t seem it’s been nearly half a decade. However, the calendar is a data point that can’t be disputed. With the marching on of time comes many changes. One change we needed to make was a website redesign. Technology changes quickly, and a four-year-old website just doesn’t have the agility that is required in today’s marketplace. More and more people are using their mobile devices—primarily their smart phones—to stay abreast of internet content. 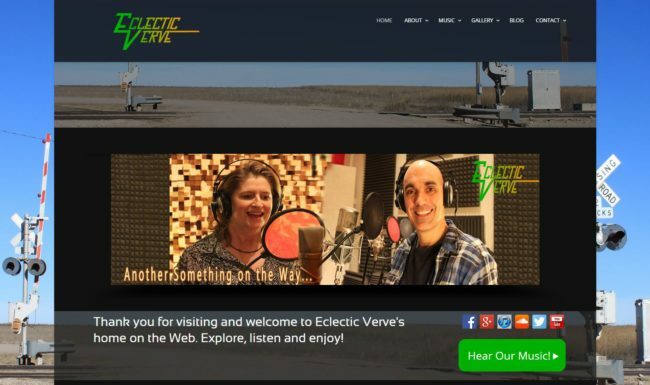 Our old website was “mobile-ready” but not entirely “mobile-friendly”, which necessitated a redesign of our Eclectic Verve website. Last Friday we unveiled our new look. We hope you find it easier to navigate, with all the same great content you’ve come to appreciate. Thanks for your continued support of our music! 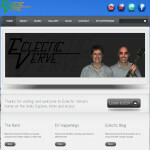 Your Band Website: What Information Should be Included?